Crystal Chauffeurs are a family run business that started in the chauffeur industry in the year of 1983. My father decided to set up a taxi company after selling his Jewellery business that was also a family trade. With no knowledge but a very strong passion for car’s my father did really well in the vehicle hire industry. After a few years he decided to buy a Mercedes C Class and a Rolls Royce, the first Mercedes & Rolls Royce in Peterborough in his era! After buying these cars he hit the corporate market in a big way; getting some more than large company contracts. From this he expanded further when I was 12 years old and decided to buy one limousine… this turned into 4 limousines in the space of just a few months due to the success and exclusiveness of the business in the area. 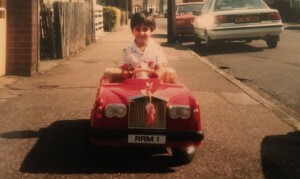 In 2005 I got married and decided I wanted to take over the business although since the age of 16 when I left school I never wanted to be in the industry no matter how much my parents pushed me; yet as a boy I always dreamt of owning nice cars! I guess my wife made me see sense? I have worked really hard and taken the business to a new dimension. 2014 and a new approach with the success of our new London Office in One Canada Square, Canary Wharf with more vehicles, massive contracts and major staff employment. Yet another success in 2017 with our International clients we have now opened an office in Berkeley Square, London, W1 next to “Jack Barclay” Rolls Royce. I have a great desire in this business and strive to take it further for my children. Everyday I learn something new and improve our business for your experience. Today we are a reputable firm and try our hardest at all times to keep this up.